As promised, here’s the second of my MI6 Tinies. 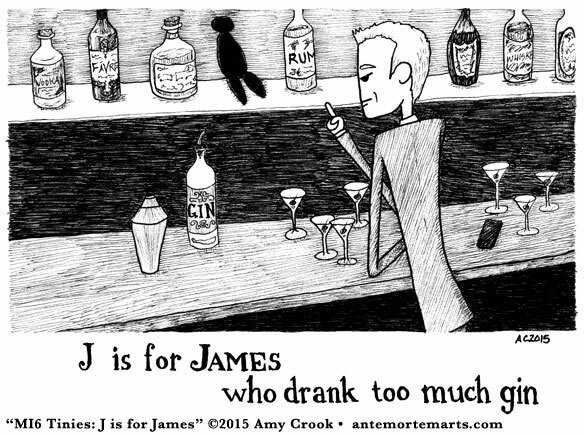 James is falling into the same trap as “Z is for Zillah,” though he’s at least using proper martini glasses instead of a teapot for his gin. 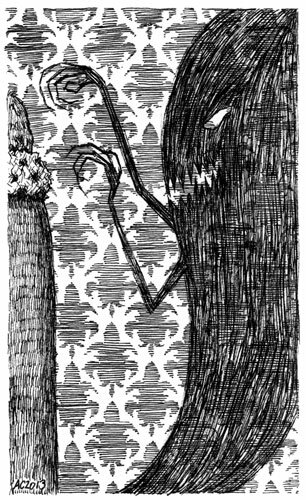 Gorey’s ubiquitous black doll also makes a guest appearance, spreading its ill omen along with the display of finer spirits. 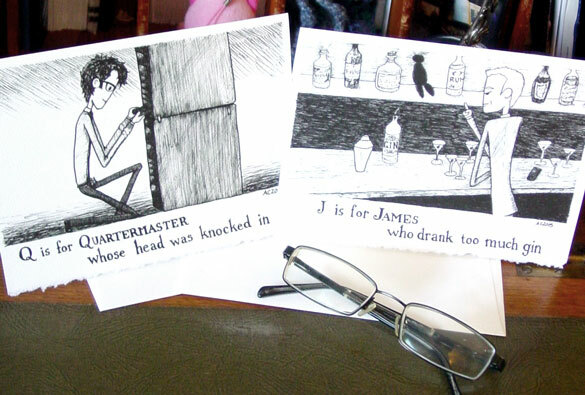 These two are a commission, but you can acquire them printed on a lovely 2-card set at my Etsy shop. 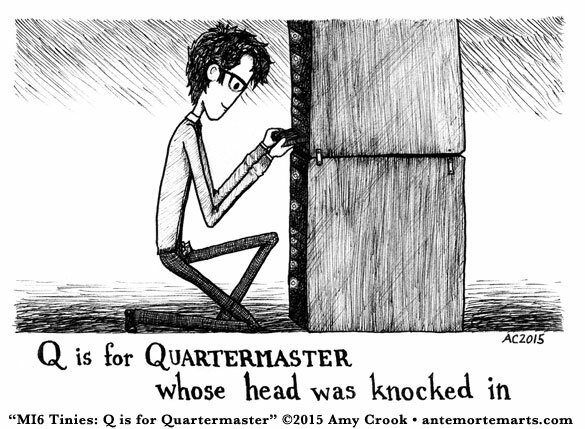 MI6 Tinies: J is for James, 8.5″x5.5″ pen & ink on paper. 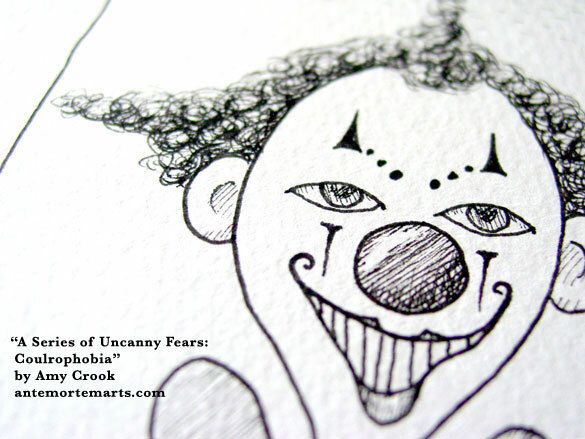 It’s been a while since I drew one of my Series of Uncanny Fears, and clowns seemed like a natural choice to bring them back. This happy guy just wants to bring joy and laughter to the world. Joy, laughter, and murder. If you’re not too scared, you’ll have a chance to take him home in July’s Floating Gallery, which opens next Tuesday! 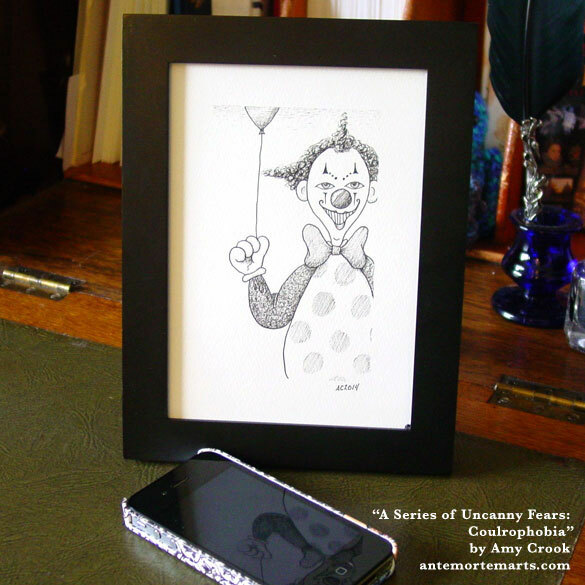 A Series of Uncanny Fears: Coulrophobia, 5″x7″ pen & ink on paper. 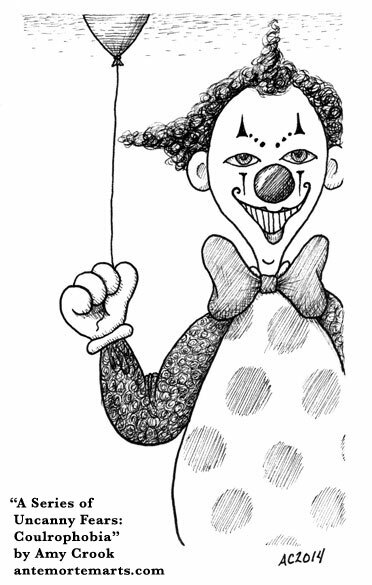 Above, you can see a detail of his cheerful face with its lopsided, toothy grin and big, happy red nose. I’m sure he’s not thinking about eating you, honest. 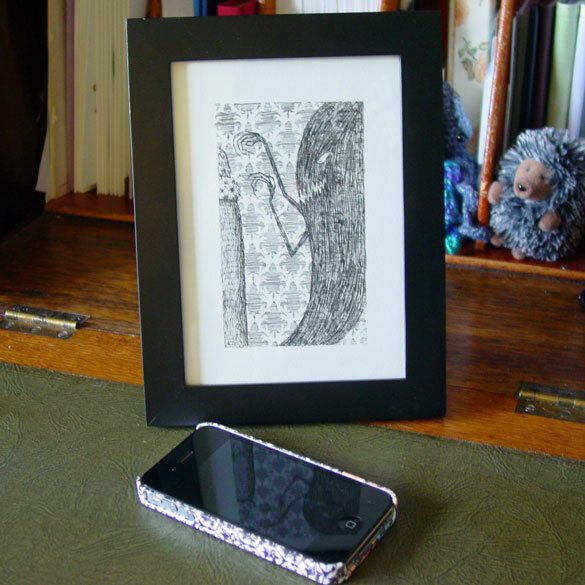 Below, you can see him safely tucked away in a frame, just waiting to come sit quietly in a corner of your home. If you’ve never experienced sleep paralysis, this particular Uncanny Fear might not quite make sense to you. You’re lying in bed, just on the edge of sleep, and your body has descended into some nether region of unresponsiveness. A fear grips you along with the strange paralysis, and you look around as much as your frozen eyes will allow. 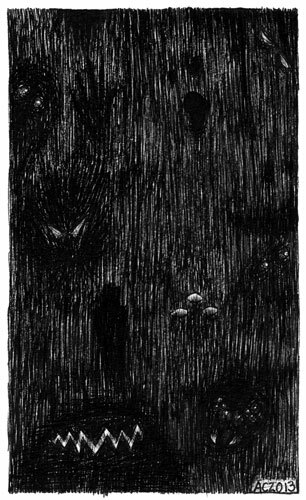 Dark figures loom all around, watching, waiting, though you don’t know what for. You probably don’t want to know. Although I enjoy the pattern on the rumpled bedding immensely, I think the staticky quality of the shadowy figures if my favorite part of this one. 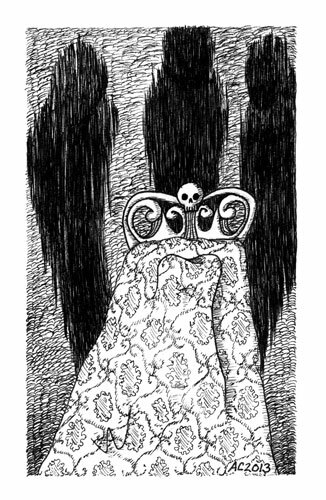 A Series of Uncanny Fears: Sleep Paralysis, 5″x7″ pen & ink on paper. Above, you can see the spooky, swirly footboard on this narrow bed. 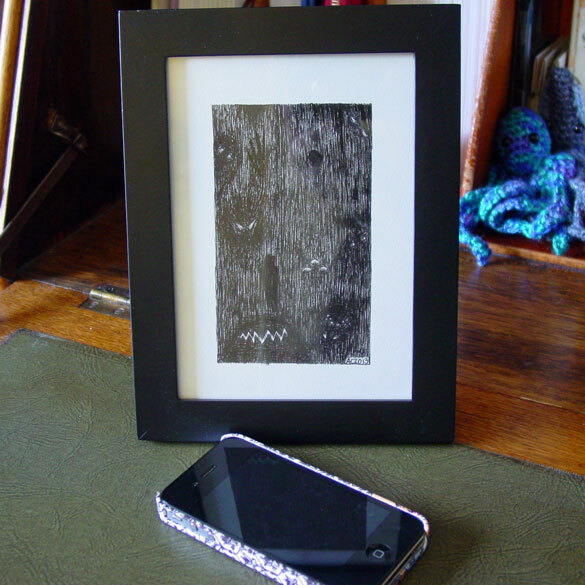 Below, the piece is in a frame, with my iPhone for size reference. Those shapes you see in the dark, those are just shadows. Just reflections and illusions made up of your imagination and your eyes straining to make sense with very little light. 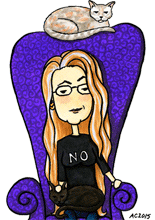 I’m sure there are no monsters lurking at the foot of your bed, no ghosts floating up near the ceiling, no faces peering in from the dark outside. That scratching at the glass is getting louder, but it’s not necessarily from the dark. It could be the mirror. It could be inside your head. You never really know, do you? 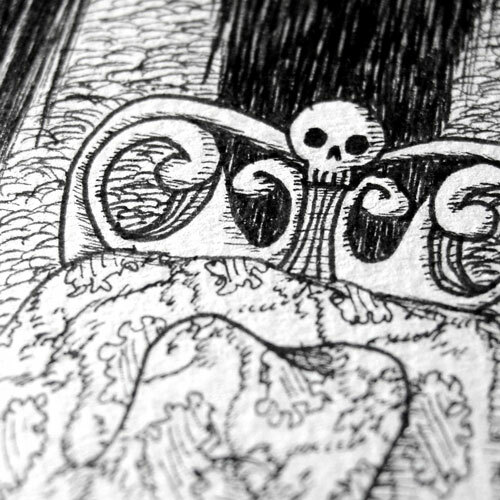 A Series of Uncanny Fears: The Dark, 5″x7″ pen & ink on paper. Above, you can see some of the details hiding in the darkness. I especially like this pair of eyes, because they seem as distressed to be looking in at you as you are to be looking out at them. Below, you can see the piece in a frame, yet another pane of glass between you and the darkness. I’m not certain what my favorite thing about this piece is, but it’s risen to the top of A Series of Uncanny Fears for me. I love the Gorey-esque fur coat on the figure just passing out of the frame. I adore the wallpaper pattern you can see showing through the shadowy figure. And I think the overlong, many-jointed fingers of the shadow are delightfully creepy. I’m sure your shadow doesn’t hunger to steal the life you live, to step into the light, to slip into your skin and live looking out of your eyes. There’s nothing to worry about at all. You could make sure you always know where it is, just in case, though. 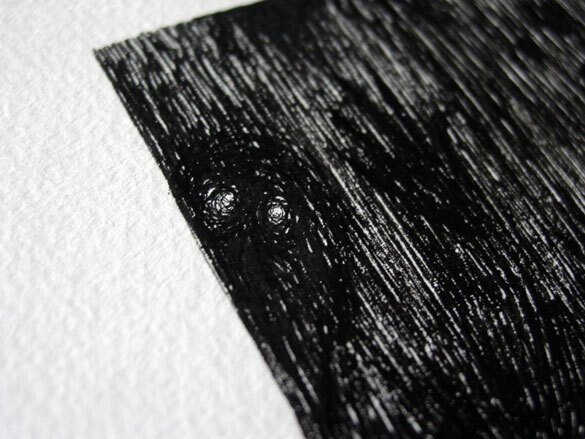 A Series of Uncanny Fears: Your Shadow, 5″x7″ pen & ink on paper. 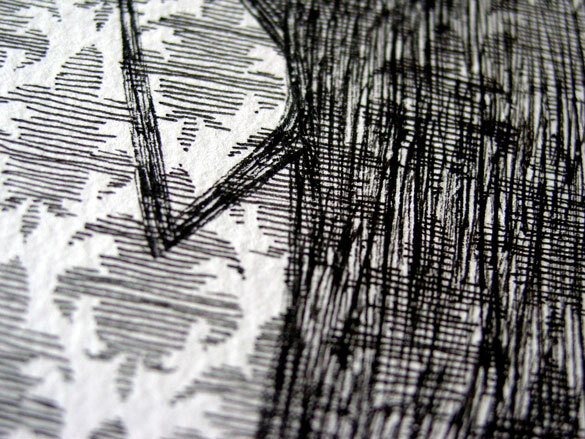 Above, you can see a close-up shot of the wallpaper pattern both bare and hiding under the shadow. 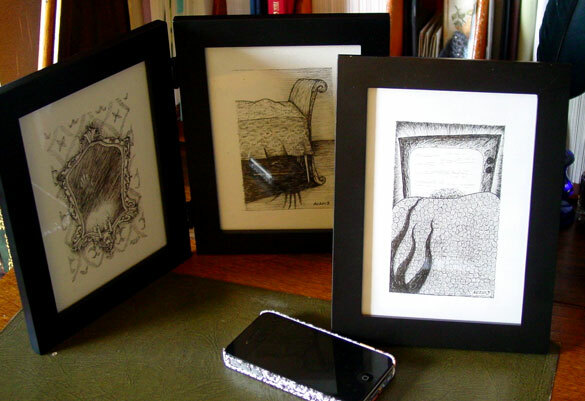 Below, you can see the piece happily ensconced in a frame, safe behind the glass. That sound you hear isn’t claws against the inside of the glass, I’m sure of it. After all, there’s so much glass in your home, you can’t really pinpoint where the sound is coming from. Tentacles have crept their way into A Series of Uncanny Fears! It only took me 3 pieces to do it, predictably. This is the first one with an explicit person in it; there’s a lump in the bedclothes and a handprint on the mirror, but we finally see someone’s actual hair here. I was torn at first about putting someone in it, but I think the little bit of humanity peeking up over the edge of the spiral-patterned chair adds to the neck-ruffling feeling of creepiness. 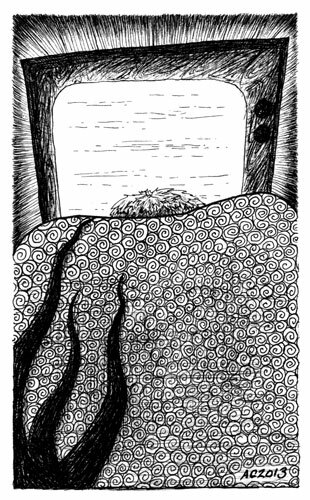 A Series of Uncanny Fears: Behind You, 5″x7″ pen & ink on paper. 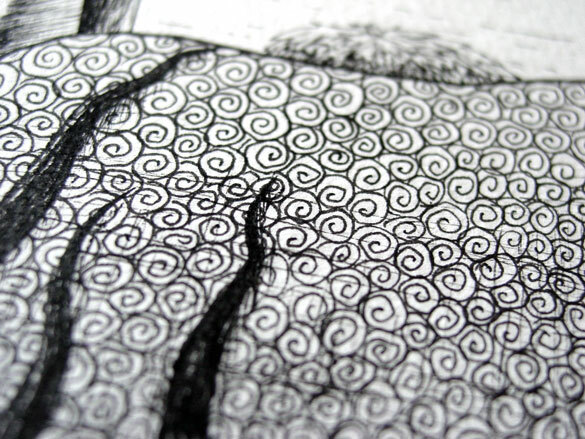 Above, you can see an update of the creeping tentacles and the backlit head of unruly hair that is their goal. 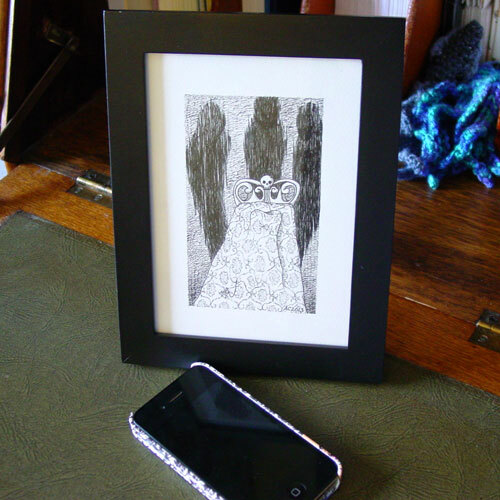 Below, you can see the piece in a frame with its brethren. I hope to add two more pieces to this series next month, too.